“Sit up straight!”, “Don’t slouch!” We’ve all heard these words from our mothers when we were growing up. Most of us would slump back into the chair as soon as she would leave. Little did we know that there was a good reason behind her admonishing us! The awareness regarding the need for good postures has rapidly increased among people in the recent times. Now the question arises, what exactly is a posture? 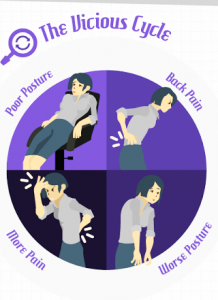 Posture is the position in which a person holds his body while standing, sitting or lying down. A good posture makes you look poised gracefully. It makes you look slimmer and younger, and your clothes well fitted and elegant. 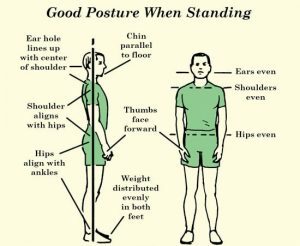 Also, sitting and standing in the right position makes sure your body functions efficiently. 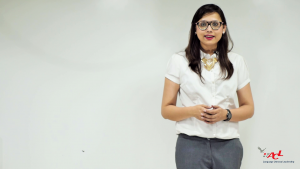 Be it an interview, a Group Discussion or a formal family gathering, people right away notice a person standing or sitting smartly. A bad standing or sitting posture can end up straining your spine, muscles, and ligaments. It’s unhealthy for the joints and leads to several diseases like arthritis and joint pain. An improper, slouched posture can also lead to several digestive problems! Now that we’re aware of the need to maintain a good posture, let’s discuss some key points you can follow to maintain good postures. • Hold your body upright, avoid slouching. • Straighten your body and pull your shoulders back so that your legs, torso, neck, and head are all in a vertical line. • Maintain a comfortable gap between your feet. • Check that an arc forms in your back when you stand. • Don’t tilt your neck to a side. • Wear good quality footwear that offers good support. 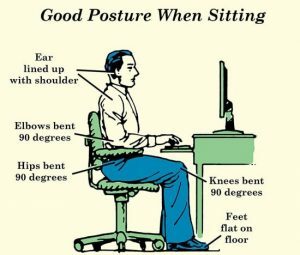 • Always sit with your back straight and shoulders broad. • Bend your knees 90 degrees. • Don’t cross your legs when you sit and keep your feet flat on the floor. • Never slouch on a chair. 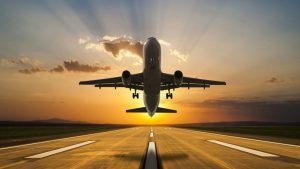 • If you have to sit for long hours, change your position every half hour or so and get up and take a short walk once in a while to give rest to your spine. I know changing the way you have been standing and sitting all these years isn’t as instant as instant coffee, but well, we surely can make an effort to correct them for those brownie points which good postures offer, isn’t it? So sit and stand tall and walk on my friends!